Boston Properties will update turnstiles and waiting areas, among other things, at Back Bay Station. The state’s plan to privatize Back Bay Station is off to a bumpy start. Just months after signing a $32 million deal to have the real estate giant Boston Properties upgrade the station, the Department of Transportation has agreed to cover six-figure shortfalls in rent from vendors and pay potentially big sums for structural repairs. The agreement, signed in the closing weeks of the administration of Deval Patrick, calls for Boston Properties to manage the building and renovate the station — installing a new glass facade and windows, updating turnstiles and waiting areas, and bringing in new retail tenants. In exchange, the company gets the right to build a tower above the station, which opened in 1987. 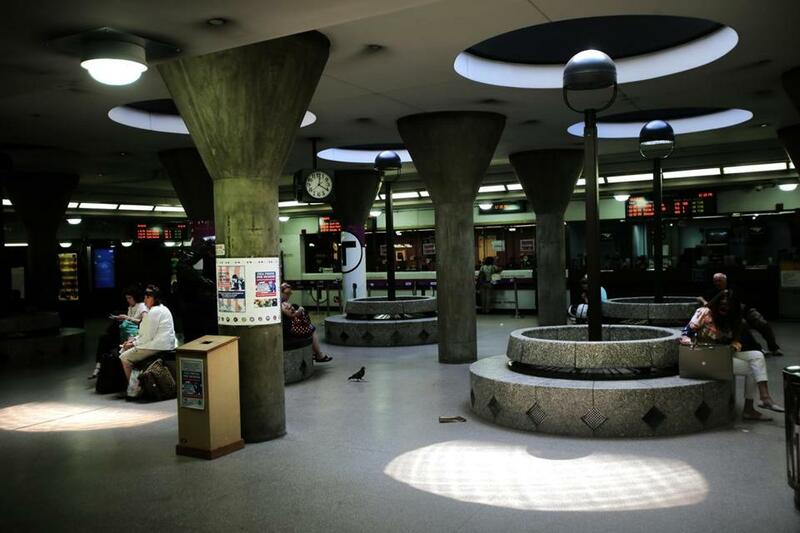 The deal makes Back Bay Station the third Boston transit hub to be turned over to a private operator, as the cash-strapped Massachusetts Bay Transportation Authority looks for ways to off-load costs and improve the condition of its real estate. 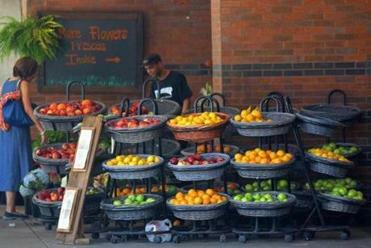 A fruit stand greets travelers at the entrance to the Back BayStation. In June, as Boston Properties prepared to take over the station, it told the MBTA it had found “deficiencies” in expansion joints in the concourse, according to an amended lease the parties signed Aug. 1. Boston Properties said it would cover the gaps in the expansion joints, which could be a hazard to pedestrians. The lease also noted that rents from vendors in the station this year would cover less than half of the $896,600 budget to run the building — with the state, not Boston Properties, on the hook for the shortfall, estimated at $464,500. In the amended lease, the state agreed to pay Boston Properties $100,000 within 10 days for the rent shortfall, with additional payments following each month. The parties also agreed to set aside $1 million from Boston Properties’ $32 million budget to fix the expansion joints, with the MBTA covering any costs beyond that. A spokesman said MassDOT does not yet know how much the work will cost the state, but added the agency has funds in its capital budget to pay for it. Details of the problems with the station lease were first reported by Banker & Tradesman. Paul Regan, executive director of the MBTA Advisory Board, which watches the transit authority on behalf of cities and towns, said he was surprised these issues were not hashed out before MassDOT and Boston Properties signed their agreement. Regan said the expense, though not huge, is not welcome at the MBTA, which is struggling to recover from the crippling storms of last winter. MassDOT has been losing money on operations at the station for years, spokesman Jason Johnson said, which is why it agreed to cover the shortfall until Boston Properties can bring in higher-paying tenants. And in the long run, turning over operations to a private company — as the state has done with both North and South stations — will both boost the MBTA’s bottom line and improve riders’ experience. “The goal is to better manage the station and upgrade the site,” Johnson said. Boston Properties has even bigger designs. The renovation is part of a larger plan by the real estate trust to develop a high-rise above the station. Moreover, the company owns the parking garage next to the station. Though it has not said what it would like to build in the area, combining the two sites would give the company a much bigger footprint for any development project. Its deal with the state calls for Boston Properties to install a new glass facade and windows in exchange for the right to build a tower above the station.